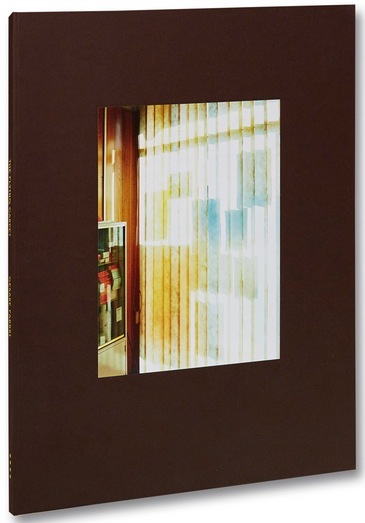 Book Review The Flying Carpet By Cesare Fabbri Reviewed by Karen Jenkins “Mined from his native Ravenna and the Emilia-Romagna region of Italy over a ten year period, Fabbri’s photographs speak to one of art’s wonderful assertions: to make the strange familiar and the familiar strange." The Flying Carpet. By Cesare Fabbri. Mack, 2017. Mack, London, England, 2017. 72 pp., color illustrations, 9½x11½". Despite its inventory of village landscape basics — stretches of fences and facades, trees and shrubbery, and bits of infrastructure, the universe Cesare Fabbri has created in his debut book The Flying Carpet hints at an alien realm. Wandering page by page, unaided by the absent local populace, we hone in on these recognizable forms to determine our location and set a path. Yet they quickly betray us, refusing to serve as a road map or an answer key. They are the alphabet of another tongue; delightfully resistant to the charms of even the keenest translator. In these familiar haunts, Fabbri finds himself to be both native speaker and novice; finding in a deep acquaintance, his own mysteries. Mined from his native Ravenna and the Emilia-Romagna region of Italy over a ten year period, Fabbri’s photographs speak to one of art’s wonderful assertions: to make the strange familiar and the familiar strange. Within the two short paragraphs that accompany the images, Fabbri concludes: “Sometimes, something too familiar becomes invisible. Photographs allow us to discover and see for the first time something that was right before our eyes.” His title references a 1987 work by Italian writer Cristina Campo, Tappeti Volanti (Flying Carpets) which points to the real as a gateway to another realm. Fabbri’s fodder, his inspiration for the quietly fantastical photographs collected here, is all that is hidden in plain sight. Fabbri’s photographs feel like a message, but not one easily read. Written language is absent from his views, barring a few stray words or scraps of text. Signs are redacted or incomplete, more evocation than disclosure. Communications seem to be issued in color blocks and geometric forms. As this pattern emerges, other objects start to feel like public broadcasts of their own. Strange items strung up and unfurled like flags are plain to see but refuse to give up their signification. A flowering sapling is hoisted over a roofline and a sky-blue bouquet flutters over a street corner. What urgent dispatches do they deliver? Language demands order and discipline, as well as allowances for idiosyncrasy and abandon, and Fabbri’s photographs also bear this out. Images are joined to one another like words in a sentence, frequently connected in recurring runs of power lines or other cables. Pod-like bushes and roadside trees are tethered frame to frame as if they might allow the missive to float away or unravel if not properly moored. Both control and creative cultivation are seen in a vineyard’s rigid rows, wrapped fruit trees and front yard shrub sculptures. The eponymous flying carpet is itself both tied down and attempting flight.